Between the two garage at Spennymoor and Coxhoe we have 4 fully qualified MOT testers. As a fully registered and licensed MOT testing centre by VOSA (Vehicle & Operator Services Agency), we are able to offer a comprehensive and professional service. An annual MOT test is a legal requirement for any vehicle over three years old. The MOT test is designed to ensure that all vehicles driven on the roads meet the minimum safety and environmental standards required by law at the time of testing. It does not mean that the vehicle is roadworthy for the length of time the certificate is valid and the MOT certificate is no guarantee of the mechanical condition of the vehicle. 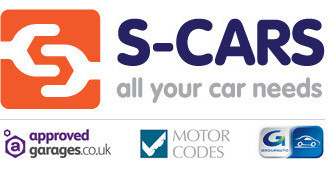 As an official MOT centre we are authorised to provide MOT testing for vehicles of class 1,2 and 4 by the Vehicle and Operator Services Agency (VOSA). 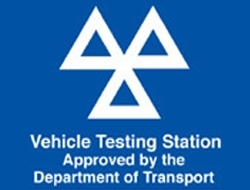 Essentially that means that we are authorised to perform an MOT check on cars and light vans. If you've been happily ignoring a warning light because it's not checked in the MOT you could be facing an MOT failure and an expensive repair bill in 2012 because of changes to the test. The Department for Transport is adding a number of new mandatory test items to the annual MOT from 1 January 2012 to comply with a revised European testing directive. The aim of the revised directive (2009/40/EC) is to harmonise minimum test requirements across Europe and make sure the test reflects the electrical/electronic complexity of modern car safety features. VOSA, the government agency responsible for the MOT, has indicated that 'failures' relating to the new test items will be treated as 'advisories' in the first three months. This means that if you have any of the following problems with your car you've got until the first MOT renewal date after 1 April 2012 to get it fixed. Electronic parking brake controls are now included and must be present and not inappropriately repaired or modified - repair obviously likely to adversely affect the roadworthiness of the vehicle or modification that has seriously weakened the component. The car will fail if an Electronic Parking Brake warning lamp is illuminated to indicate a malfunction. Checks of anti-lock brakes will be extended to include Electronic Stability Control if fitted. The tester will check for the presence and correct operation of the ESC malfunction warning light together with looking for obviously missing, excessively damaged or inappropriately repaired or modified components and electrical wiring, as well as an ESC switch missing, insecure or faulty. The new test includes a check on the presence and correct function of the steering lock where fitted as standard. Missing, or split/damaged dust covers on steering and suspension ball-joints will result in failure if they will allow dirt to enter the joint. Power steering fluid level must be above the minimum level indicated on the reservoir. Products on the lens or light source that obviously reduce the light's intensity or change its colour will become a reason for failure - applies to front/rear position lamps, registration plate lamps, stop lamps, rear fog and direction indicators. Headlight requirements are updated to take account of the particular characteristics of High Intensity Discharge (HID) lamps. HID headlights can cause dazzle if they are dirty or aimed too high so car manufacturers must fit headlamp cleaning and levelling systems. Where HID or LED dipped beam headlamps are fitted the tester will switch on the headlamps and check the operation of any headlamp levelling and cleaning devices fitted. The car will fail if a headlamp levelling or cleaning device is inoperative or otherwise obviously defective. If a headlamp bulb is not seated correctly the resulting beam pattern will be indistinct and this will result in a test fail. An insecure battery will be a reason for failure as will a battery that is leaking electrolyte. Visible wiring that is insecure, inadequately supported or likely to cause a short will also result in a failure as will wires bared by damaged insulation. There will be a basic security/damage check of 7-pin sockets, 13-pin sockets will be subject to a full electrical connectivity check and incorrectly connected or inoperative circuits will result in failure. Tyre pressure monitoring systems fitted to vehicles first registered after 1 January 2012 must be working correctly and not indicating a malfunction. The vehicle will fail the test if any air bag fitted as original equipment is obviously missing or defective. A seatbelt pre-tensioner fitted as original equipment but missing or that has obviously deployed will be a reason for failure. Seatbelt load limiters that are missing where fitted as standard or folding webbing type limiters that have obviously deployed are also reasons for failure. The vehicle will also fail if an SRS malfunction light is missing, not working or indicating a fault. The car will fail if a speedometer is not fitted, is incomplete, inoperative, has a dial glass broken/missing or cannot be illuminated. It must be possible to secure the driver's seat fore and aft adjustment mechanism in two or three different positions. On electric seats the motors must move the seat fore and aft. A rear door that cannot be opened from the outside using the relevant control is a new reason for failure. Doors must be easy to open and close - hinges, catches and pillars will be inspected. Inappropriate repair or modification to the towbar assembly will be a reason for failure if judged likely to affect the roadworthiness of the vehicle/trailer. A catalytic converter fitted as original equipment but missing will be a reason for failure. Damaged or chaffed fuel pipes will result in failure. © 2019 S Cars (North East) Limited - Spennymoor and Coxhoe, County Durham.